Whirlpool India Ltd. operates as a subsidiary of Whirlpool corporation which is a manufacturer and marketer of home appliances. 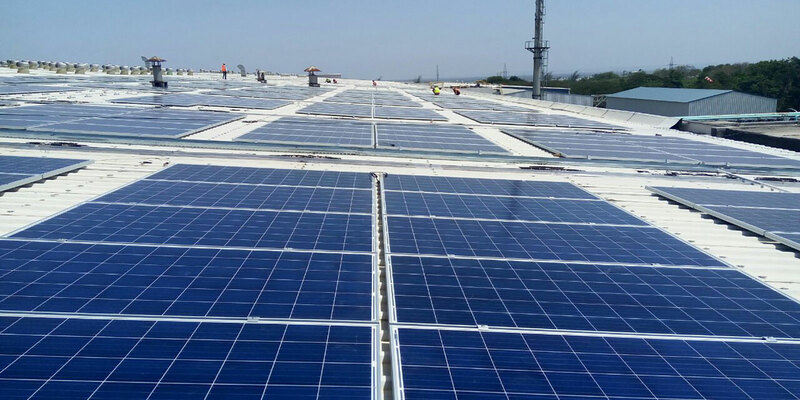 As a first step towards its green environment, Amplus has constructed a 995.40 kWp capacity rooftop solar plant for its Pune facility. With a commitment to operate & maintain the plant for a minimum of 25 years, Amplus helps them to produce green electricity of 31,045,368 kWh capacity. The plant helps to reduce the CO2 emission by 29,866 tonnes. In addition to this, it is equivalent to 774,017 tree seedlings grown for 10 years.